The next Cenex-LCV low carbon vehicle event will be held at Millbrook on the 12th and 13th September 2018. 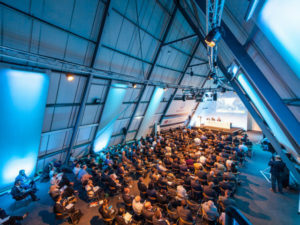 The Cenex-LCV event has become the UK’s premier low carbon vehicle event, according to the organisers, and incorporates an extensive technology exhibition and seminar programme. In addition, the event hosts a ride & drive of research & development and commercially available vehicles. The event provides an opportunity to discover the low carbon industry or to showcase technology or business, Cenex said. LCV2017 had an attendance of more than 3,800 people, 221 exhibitors and 96 press. LCV2018 will take place at Millbrook on the 12th and 13th September 2018.